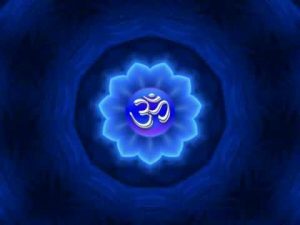 This ancient mantra points out the connection between the Manifested Universe and the Unmanifested Brahman. It is obviously indicated that the Manifested Universe comes out of the Purnam, thus it is also Purnam. This is the Shanti (peace) mantra of Isha Upanishad (IshaVasya Upanishad), which is a part of the (Shukla) Yajurveda. In this Sanskrit mantra, it has been declared that every living being is complete in itself as the Supreme Atma is. There may be a difference in form and size, but in essence, there is no real difference. This mantra awakens and energizes your inner wisdom, and unlocks the secret and sacred inner pathways that lead you to eternal wellbeing and happiness. The crowning expansion of the mind from the “I” into the all-encompassing cosmic sacred energy is a wondrous transformation. Let us all lead each other through this divine quest with inner peace and unconditional love, light, and joy. “The Upanishadic vision is that the creation is indivisible, a totality; it is an organic whole. The parts are not separate, we are all existing in a togetherness: the mountains, the trees, the people, the stars, the birds, howsoever far away they may appear – don’t be deceived by the appearance – they are all bridged, all interlinked. This entry was posted in Hindu Mantras on October 15, 2016 by admin.